A podiatrist is a trained doctor who specializes in podiatric medicine. That is a branch of medicine that focuses on the health of the foot, ankle, and lower leg. They are often referred to as a foot and ankle surgeon because surgery is a common part of their job. 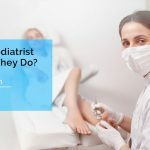 One of the unique aspects of this particular medical profession is that it is the only type of doctor who specializes exclusively in treating the foot and ankle. Other specializations may offer to treat the same area, but they will lack the same degree of education and training in regards to the foot and ankle. There are some differences in the profession from one country to the next. For example, in the United States, all podiatrists must complete surgical residencies that allow them to perform surgical treatments in addition to diagnosing and treating foot and ankle conditions. In Australia, a surgical residency is not required for licensing as a standard podiatrist. However, a podiatrist can choose to receive additional education and specialize as a podiatric surgeon. Humans have understood the need to care for their feet for thousands of years. Ancient Egyptian carvings from roughly 2400 BC depict care being given to the hands and feet. And this undoubtedly wasn’t the first time this occurred. The average person today walks between 8,000 and 10,000 kilometres each year. That number was likely significantly higher thousands of years ago. Despite this need to care for the foot, podiatrists originally worked separately from the rest of organized medicine. They were called chiropodists for some time and they worked as physicians who were independently licensed. It wasn’t until the 20th century neared that the profession took a step forward into organized and protected medicine. Professional podiatrist associations began to appear at different times in different countries around the world. The very first of these associations appeared in America in 1895. Later, in 1912, the London Foot Hospital was organized by the British. Australia began to organize professional associations beginning in 1924. Finally, in 1939, Australia built a professional training centre and began to release a medical journal on the subject. The specialization has come a long way from its early days. It is widely respected across the globe and one of the highest paying professions in many countries. The number of additional specializations varies according to the country. Some countries recognize podopaediatrics as a podiatrist specialization. Podopaediatrics would focus on diagnosing and treating foot and ankle conditions in children. Sports podiatry is another specialization that focuses on injuries related to playing sports. There are currently only two levels of accreditation available in Australia with only one existing specialty. That specialization is Podiatric Surgeon. All other podiatry-related work, whether it be sport-related or for children, is handled by a standard podiatrist. This requires them to have a vast understanding of the foot and ankle of patients of all ages. Current lobbying efforts suggest that new specializations may be introduced in the future. Those specializations may include podopaediatrics, high-risk podiatry, sports podiatry, and diabetes podiatry. If these specializations are introduced it would lessen the workload of each podiatric specialist and allow them to focus on specific problems more efficiently. The best podiatric doctors will offer a large number of services related to the foot an ankle. 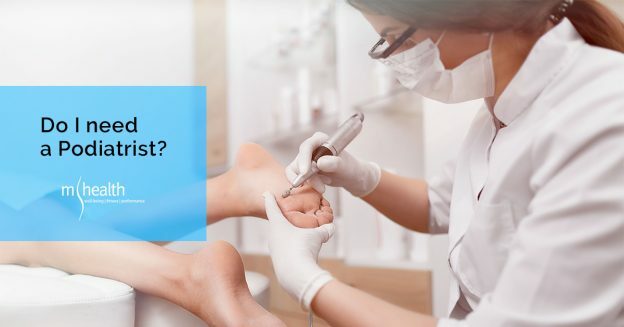 General foot treatment should include the management or prevention of specific problems like splinters, blisters, warts, athlete’s foot, corns, and nail fungus. More advanced services may include computer gait analysis, diabetes foot health care, orthotic prescriptions, and neurological assessment. You may also receive a biomechanical assessment that can help treat pain, prevent future problems, and improve athletic performance. This assessment includes an examination of the foot as well as other parts of the body related to the foot’s function. It will highlight foot posture, muscle activation time, balance, overall posture, muscle strength, and other related elements. This information can then be used to suggest lifestyle changes, specific exercises, orthotic prescriptions, and basically anything else related to the foot and ankle that could improve your well being. Other assessments that may be provided include a neurological assessment, a vascular assessment, and a diabetes foot health assessment. Each of these serves an important purpose and should be utilized by those with specific risks. For example, patients who suffer from pain in the lower limbs often benefit from a neurological assessment. This particular assessment can help determine if the pain is originated from the lower limbs or is being caused by nerve damage or irritation higher up in the body. There’s no wrong time to visit a podiatrist, but there are some signs that it’s time to schedule a visit soon. If you suffer from prolonged pain in the lower limbs, then you should schedule a visit as soon as possible. Even if y our feet and ankles seem fine, scheduling an appointment once a year is always a great idea. Patients with high-risk factors, such as diabetic patients, should have an appointment once every 3 months at least. At MHEALTH, you’ll find all of the services listed above available plus so much more. Schedule an appointment today with one of our highly-trained podiatric specialists. What is Podiatry? When Do you need to see one? This entry was posted in Tips Physiotherapy & Osteopathy Melbourne on September 26, 2018 by MHEALTH.